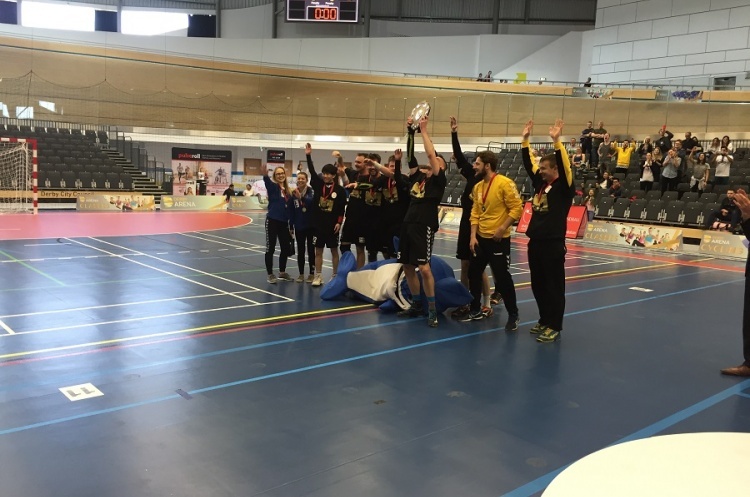 Coventry Sharks beat Guildford Sabres 28-19 to lift the England Handball Mens’ National Shield. Sharks were always in control of the match, as the England Handball Finals got underway at Derby Arena, and led 13-7 at the break. However, Guildford never let their heads drop and pushed their opponents hard after the break. Sharks' Boris Bailleul was named Most Valuable player, as he weighed in with an impressive eight goals. Guildford left back Daniel Sullivan beat the keeper six time to top score for the Sabres.